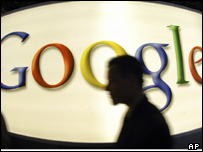 Google powered more than half of all search requests carried out around the world in August, according to a report. A global study by analysts comScore revealed that more than 61 billion searches were performed by more than 750 million users in the month. Users performed more than 37 billion searches via Google, more than all the other major search engines combined. Yahoo was the second most used engine, followed by Baidu, the Chinese language search engine, the report said. "Seeing Asian search engines like China's Baidu.com and Korea's NHN ranked alongside Google and Yahoo underscores the fact that search has become a truly global phenomenon," said Bob Ivins, executive vice president of international markets at comScore, in a statement. NHN was the fifth most used search engine, according to the story, just behind Microsoft. The study revealed that most search activity happens in the Asia-Pacific region, which includes countries such as China, Japan and India. More than 258 million unique users in the region carried out 20.3 billion searches in August, said comScore. Europe had the second largest total of searchers (210 million), followed by North America (206 million). "The search market in the Middle East-Africa region is the most underdeveloped thus far, with the fewest searchers (30 million)," said the report.